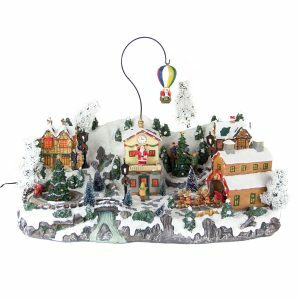 Delight your family and guests with this exquisite Porcelain House Village Set. 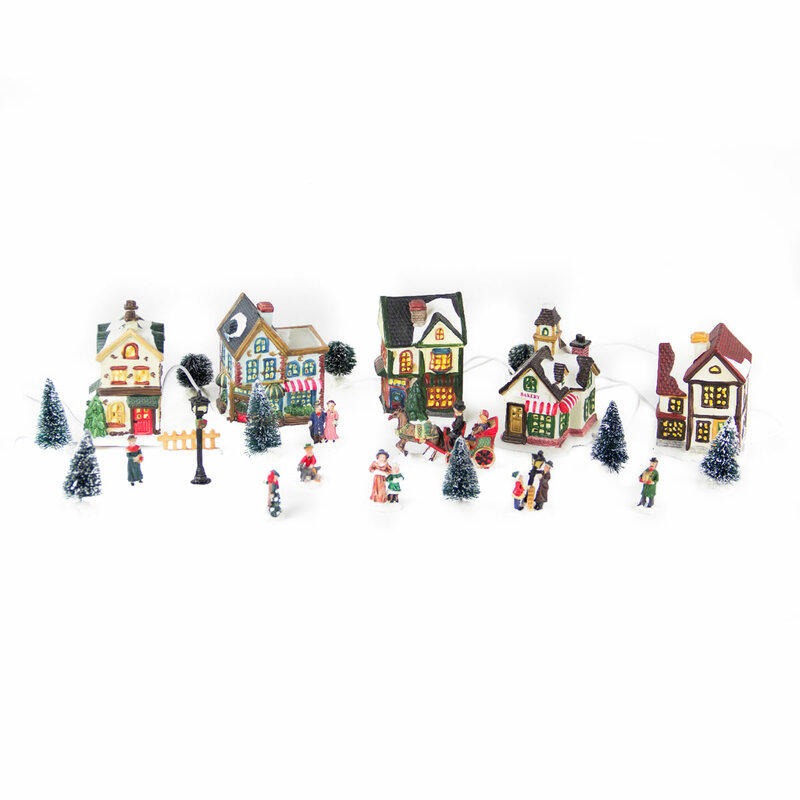 Let this village scene take you back to a simpler time in a friendly village atmosphere. Marvel at the old Bakery and the gingerbread-style houses. Move the figurines around to make your own memorable scene and take the time to enjoy the intricate details of the horse-drawn carriage. The village is gorgeous by day and glowing by night – all it takes is a flick of a switch to light it up! 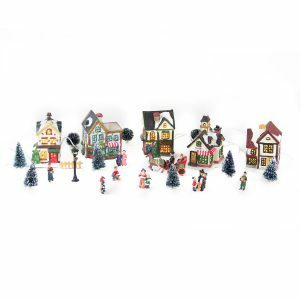 The set consists of 4 x 11cm buildings: 3 houses and 1 bakery, 9 trees, 2 lanterns, 8 figures and a horse-drawn carriage with hand-painted detail. LED lights require 3 x AA batteries (not included).